Can One Documentary Save The Last Of The Mountain Gorillas In Virunga? 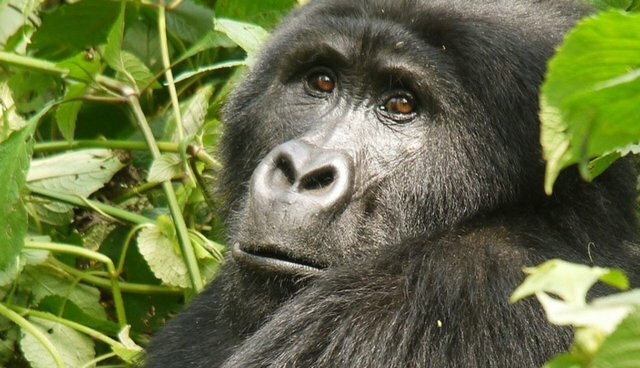 The fight over the land inhabited by the last few hundred mountain gorillas on Earth is raging, and it could turn into an all-out war very soon. Mountain gorillas, a subspecies of the Eastern gorilla, inhabit two main areas in Africa (though there is some debate over whether the populations should be considered the same subspecies). One population of mountain gorilla lives in Uganda; another population lives in the volcanic mountains of Central Africa, many of these in the Virunga National Park. There are about 786 mountain gorillas in total. The 3,000-square-mile park is famous for its diverse wildlife, including the critically endangered mountain gorillas. Savanna and forest elephants, chimpanzees, giraffes, okapi and buffalos also roam the park. Despite this overwhelming biodiversity, the park is under intense pressure from oil developers, who seek the resources lying under the species' shrinking habitat. A new Netflix documentary making the rounds at festivals gives a heart-wrenching look at the threat and features some of the heroic rangers trying to save the park. "Virunga" follows the story of a group of rangers who are fighting to protect the UNESCO world heritage site from poachers, the armed militia, and the ever-looming energy companies. Its executive producer, Howard G. Buffett, is the son of investor Warren Buffett and is well-known for his large donations toward animal and wildlife causes. The film will be available on Netflix on Nov. 7. See this page for more information on how to help save Virunga National Park and the iconic species who live there.